If you’d read last weeks post (perhaps all three of you!) you’d know that I’m not gardening at the moment. 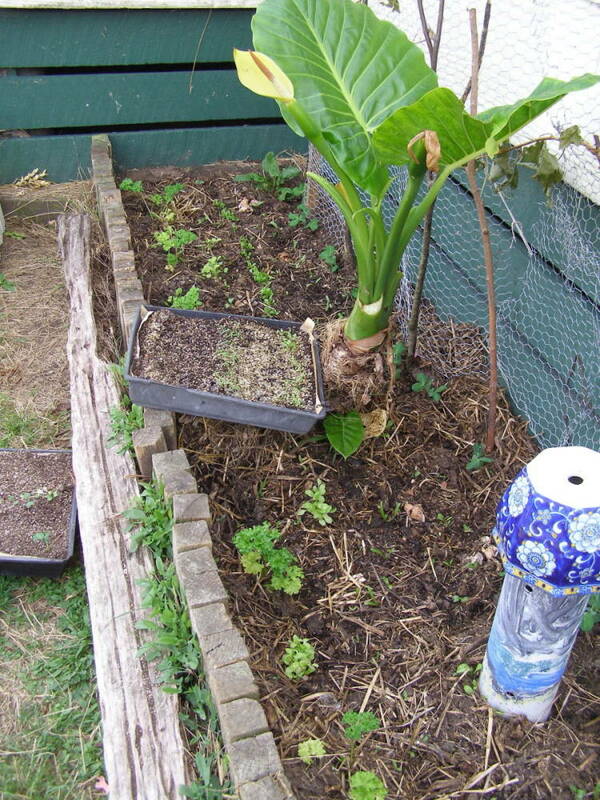 Oh, I exaggerate, I do have a token vegie garden. Lettuce, raddicio, beetroot, spinach, snow peas, parsley, rainbow chard, there was broccoli but it’s gone AWOL. Note, I don’t know what that plant is in the middle (do you?) and was going to pull it out but then worked out that the flower there was responsible for incredible sweet perfume smell I kept on smelling, so I couldn’t bring myself to it! 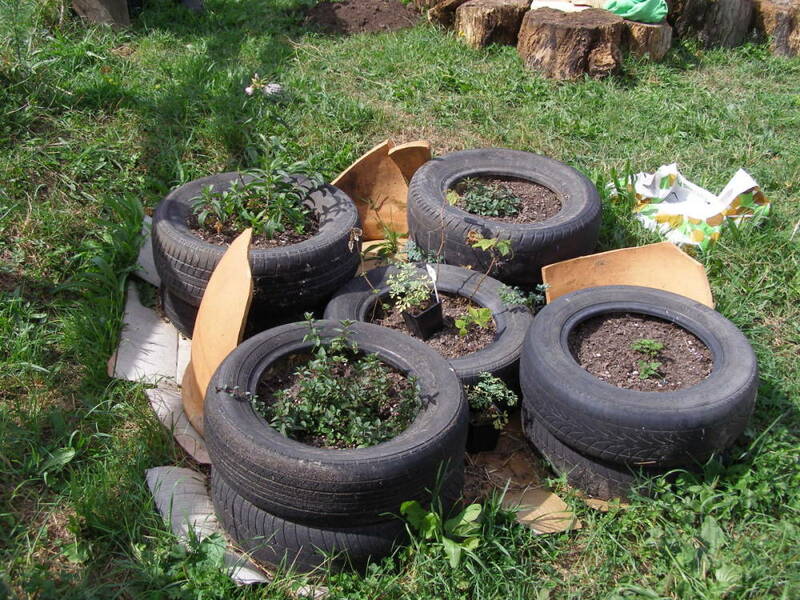 I also have an ugly tyre (my own opinion), but necessary garden. My peppermint, soapwort, lemon balm and bergamot needed to spread their roots. 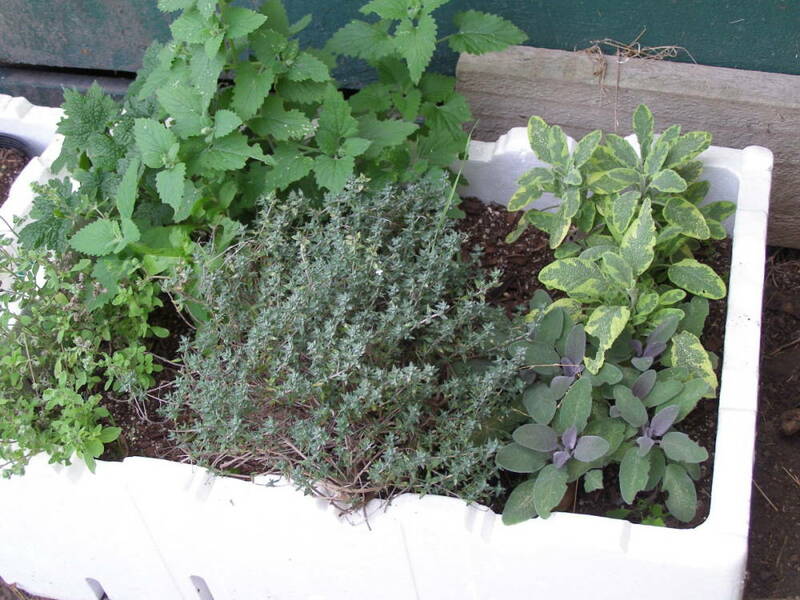 All my other herbs are fortunately, happily, chugging away in their polystyrene boxes. Good idea to use these if you don’t have a piece of dirt of your own. Not very environmentally aesthetic although it is re-using what a fruit and vegie shop would usually just throw away. I got mine from Sang Sues’. I read Lynda Hallinans book Back to the Land this week. Inspiring and had lots of recipes in it too~ the cinnamon brioche was wonderful (she got it from Helen Jackson at Foodlovers). The book was written diary like and was an easy read. She’s in a very fortunate position so a little hard to relate but something to aim for!